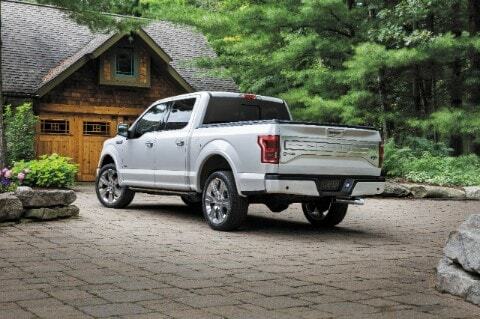 At Sheridan Ford Sales you can find stock of all the newest models. The opportunity to assist residents in the Landenberg area to get the vehicle they want and deserve is what we're here for. Landenberg is an unincorporated community in southern Chester County, Pennsylvania, United States. It is, essentially, a post office address that covers parts of New Garden, London Britain and Franklin Townships. The White Clay Creek bisects Landenberg. Landenberg falls into two school districts: Avon Grove and Kennett Consolidated. There are several historical areas in Landenberg, including the Landenberg community and the Ticking Tomb along with the bridge in New Garden Township. Our online site hosts our inventory of brand new and used vehicles for anyone in the Landenberg area to browse at their leisure. Whether it's for a large or small family, or just for yourself, we're sure to have something on hand that can suit your particular needs. Are you shopping around Pennsylvania for a pre-owned car? With our variety you won't need to shop anywhere else. The advantage of shopping with us means you have access to a wide variety of pre-owned vehicles from which to find your dream car. We have the tools, information, and professional help you'll need to find a loan or lease that works for you. Our secure finance application form can help set you on the path to getting your car loan. Our friendly staff will review your application as soon as it's received and get back to you in a timely manner. If you're having trouble with your Ford vehicle, then bring it by and let our talented mechanics diagnose and solve the trouble. Folks living in and around Landenberg can also seek us out for the certified parts they need to keep their vehicle in the best possible condition. Set up a service appointment via our website.